Good evening and I hope this email finds everyone well! I want to thank you and your amateur guests for taking part in your Foundation Pro-Am last this past week at Champions Run. 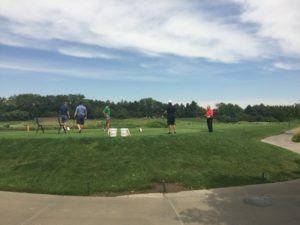 Since the inception of this Foundation in 2013, over 1,500 hours have been volunteered by 174 Nebraska Section PGA Professionals! In addition to this remarkable stat, we have reached over 12K youth in Golf N Schools, founded TEAM Golf with over 600 youth ages 7 to 12 and the best it yet to come! 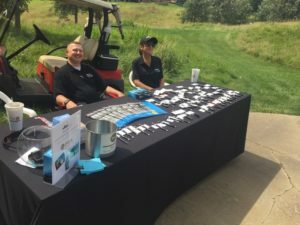 I am really thankful to the many new partners of this event and as you saw first-hand, businesses in Omaha are taking notice and supporting our efforts. With your help and that of Bob Danenhauer, our Development Office this list will just continue to grow in the years to come. Especially I wanted to bring to your attention, Jani-King of Omaha who I know many of you met on hole #12. Cc’d is Executive Director, Corey Landrie of Omaha who has been a tremendous supporter of our Section the past three years. 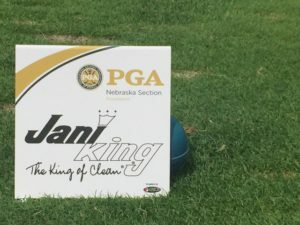 Jani-King is doing some exceptional things in our industry right now and if you watched the final round of the Northern Trust you noticed their logo everywhere. Corey and his team are truly making a significant difference in businesses across the area through their best in class cleaning services. Whether its commercial, hospitals, college athletic facilities or PGA facilities in our Section, I encourage you to give Corey and his the opportunity to give you a quote and see how they can better serve you and your members/guests.